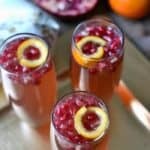 Pomegranate Orange Fizz Cocktail combines the classic flavors of pomegranate and orange with the celebratory feel of champagne. 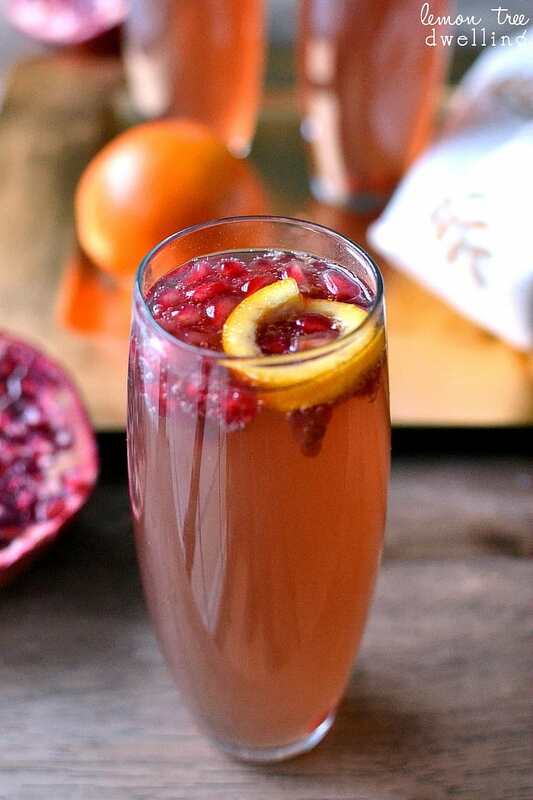 This festive drink is sure to be a crowd favorite. 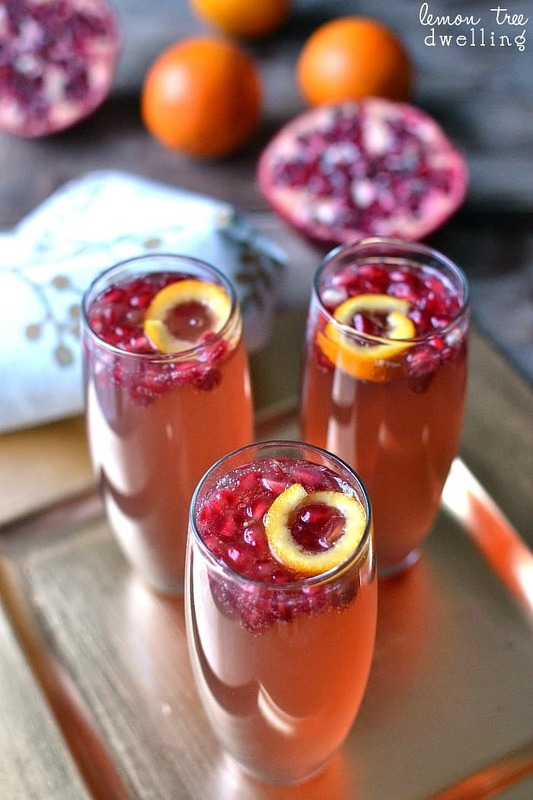 Add in some triple sec for an extra citrus blast and you have a cocktail that’s worthy of a celebration! 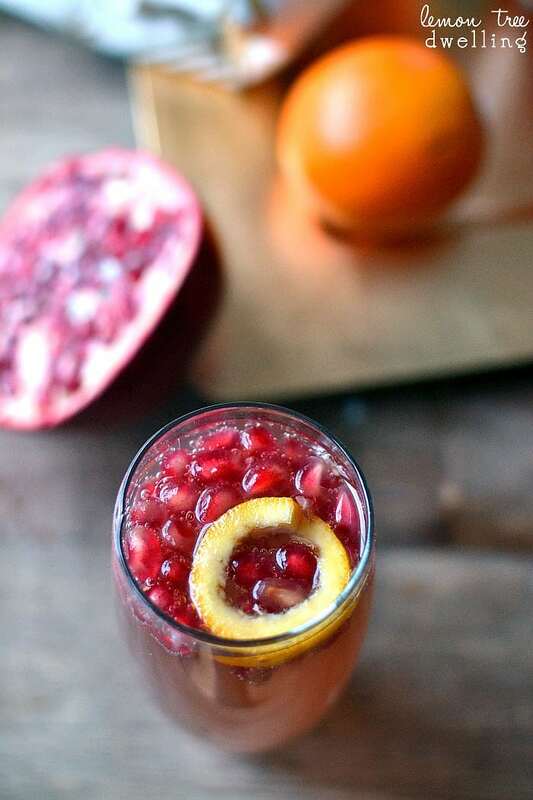 Cheers – it’s Monday! And not just any Monday, but the Monday before Christmas. Woo hoo! Now, that’s not necessarily reason for celebration in and of itself….but when you combine it with the fact that I’m all finished with my Christmas shopping AND the fact that Jorden is off for two weeks starting today, I’d say a celebratory drink is in order. Don’t you think? We’ve already gone out to breakfast at my FAVORITE place ever, and now he is out running errands (some for himself, some for me)…..and that’s all after he let me sleep in this morning. Yep – I’d say it’s a pretty good start to Christmas break. Of course….having him home won’t be without its share of annoying moments and hardships. Like the fact that he’s on a cleaning and organizing rampage (and trying to pull me into it) or the fact that he’s much more likely to let the kids stay up way past their bedtime (so we pay for it the next day) or the fact that my normal daily routine is completely turned upside down (blogging? what’s that?)! Need some last minute holiday ideas? Be sure to check out all my holiday recipes to help round out your final days to Christmas! Divide ingredients evenly among 3 champagne glasses. If you haven’t finished your baking yet, try out these Christmas Chocolate Cherry Cookies from Genius Kitchen! They look divine! Drinks are TOTALLY in order! I love these Cathy! 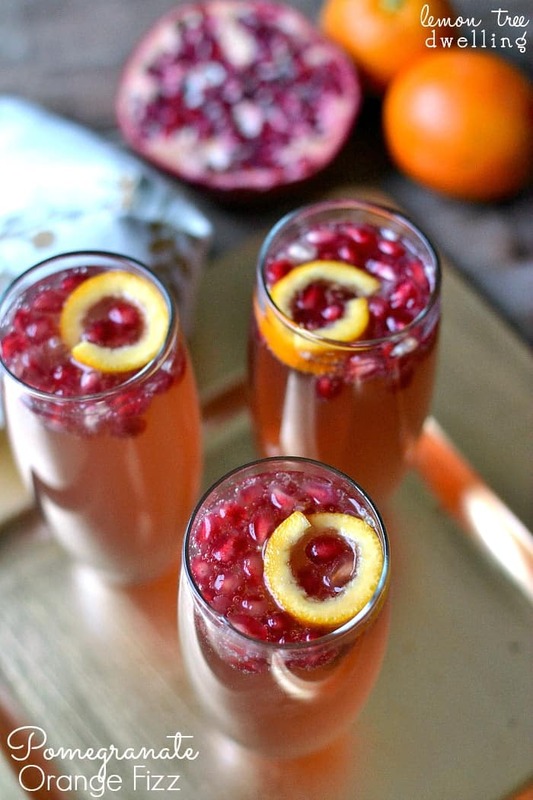 So festive with the pomegranates! I think I’ll be having these tomorrow! Have an awesome holiday!!! Haha – I totally feel ya on how great it is to have our husbands home and how they can mess up our routine at the same time! 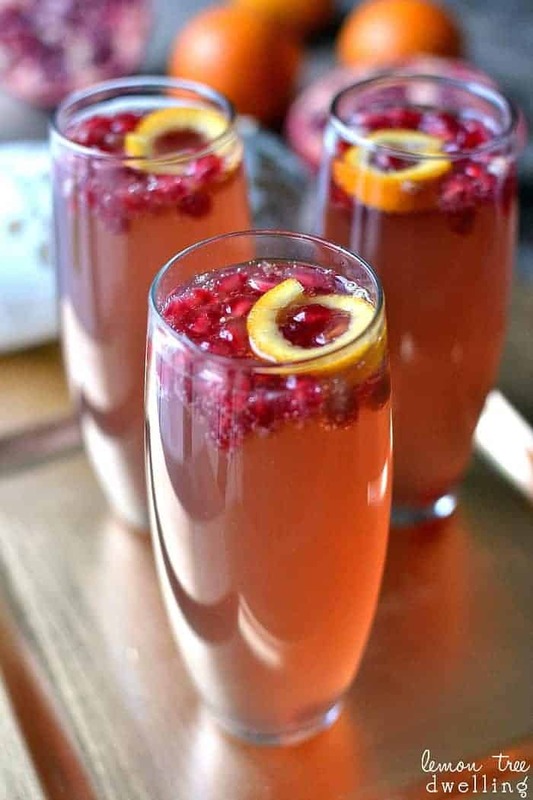 🙂 This drink sounds like the perfect end to the day …. and the shopping season!